U.S. Polo Assn. Boy's Graphic T-Shirt Only $2.99 (Reg. $18)! You are here: Home / Great Deals / U.S. Polo Assn. Boy’s Graphic T-Shirt Only $2.99 (Reg. $18)! U.S. Polo Assn. Boy’s Graphic T-Shirt Only $2.99 (Reg. $18)! Terrific clearance deal! Get the U.S. Polo Assn. Boy’s Graphic T-Shirt for Only $2.99 (Reg. $18)! Opt for FREE store pickup or get FREE shipping on orders over $35! 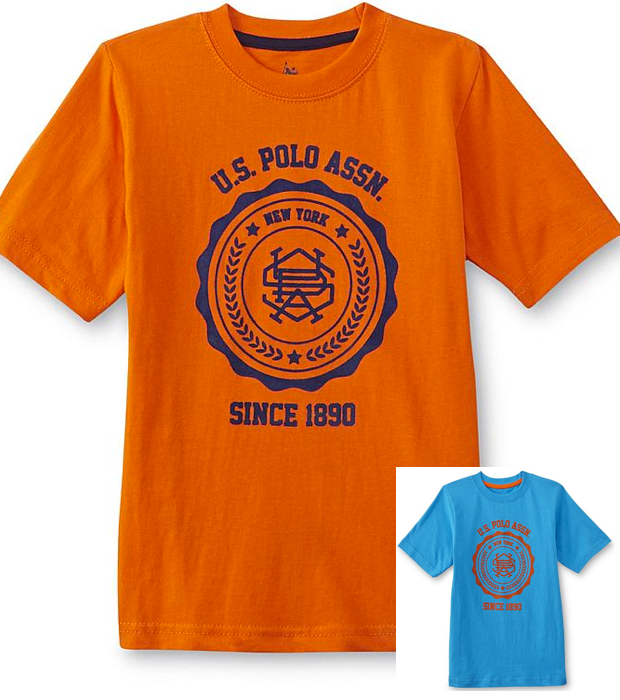 In this boy’s graphic T-shirt from U.S. Polo Assn., he’s at the top of his class. A bold graphic logo reads, “Since 1890,” while the soft knit and short sleeves keep him comfortable as he runs out to play with his friends.